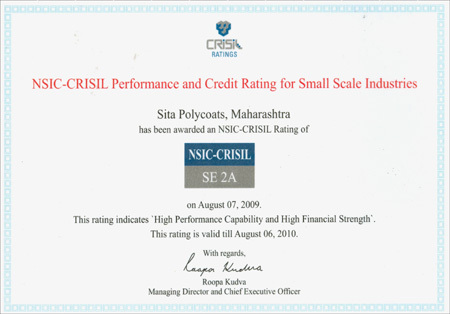 “Sita Polycoats” established in 15 August 1994 started liquid painting Business. Sita polycoats awarded MRF surfaces coating franchisee in Pune. We are proud to be associated with such a powerful & innovative company in India. Besides being known for their tyres,MRF also has an upper hand in surface coatings technology collaborating with vapocure ltd. Australia and Bayer A.G.Germany for the vapocure plant system & 100% PU technology respectively it is one of the leading surface coating company in India. With our regular PU coating services we innovate method for strengthening of deteriorated tower stubs by applying MRF speciality coating systems this increased life of tower almost as new erected tower. Installation on one more dust proof paint shop plant to enhance our capacity which result our entry in industrial segments like medical equipments, Defense, Electronics. Upgradation of systems and procurement of world class spraying quipment result entry in Automotive & auto components work PU painting. Aquired ISO-9001:2008 Certification by TUV Rheinland (India) Pvt. Ltd.Established In-house paints testing laboratory by procuring testing equipments. Spectro-photo meter, Gloss meter, Pencil hardness tester,Coating thickness gauges etc. To enhance our existing painting facility we have installed two New State-of-Art Spray Booths.